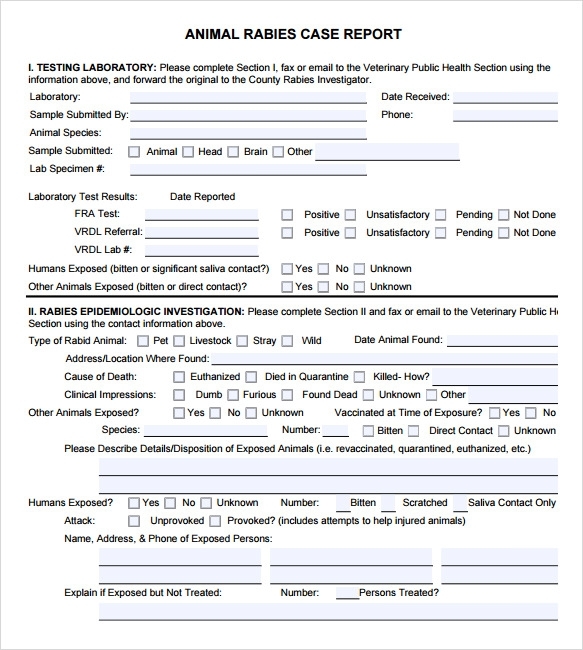 Whether it is an account of cruelty to animals or just a mere explanation of faunae, the animal Report Templates will guide you in formally writing all your views and statements so the reader can easily grasp the message you want them to comprehend. This collation tool will make anyone tell the story they have witnesses and present the facts they have collected in an organized manner. 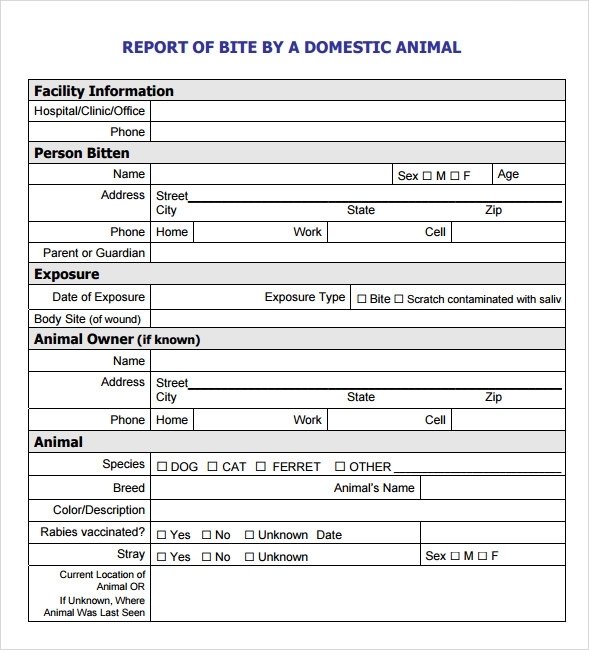 The example template you need can be downloaded for free online, also at Microsoft word application you can make one of this reports and print the document after completing it. 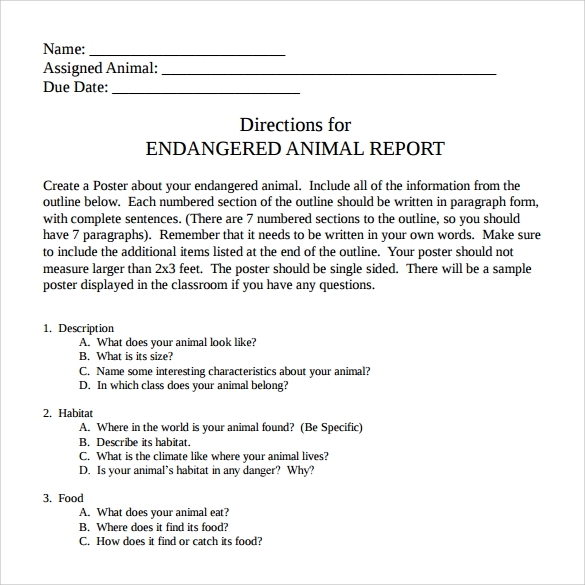 Animal Report Templates is the basis you need in writing your accounts personally seen regarding an animal abuse or neglect; it can be also used in presenting facts in an animal life where we can help in their habitat and life. You may like Case Report Templates. As its name suggests it is available in PDF format. This includes creative cover report, title page, and table of contents, introduction and research section. In research section you will find description, habitat and what helps it live there along with eating habits and enemies and how to protect it are there. This is available in very simple design so that anyone can fill this up and will share with their targeted audience. 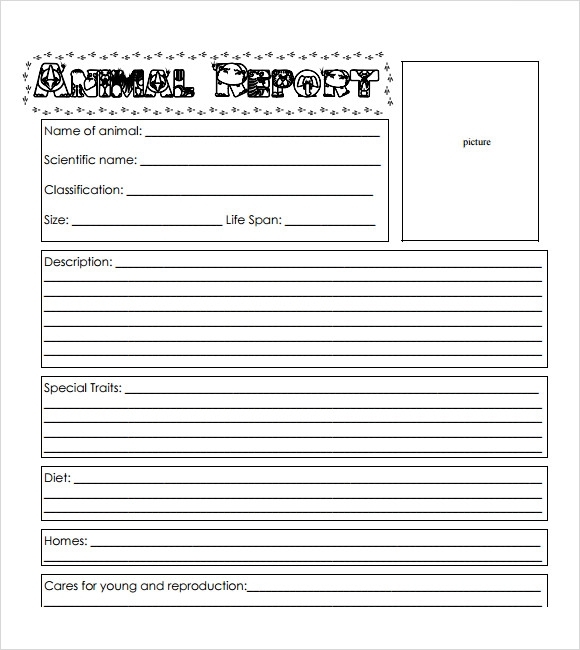 This template includes appearance of the animal, their ecosystem description which they are following and the predator. Other points that taken into account are carnivore, omnivore, and herbivore that needs to be particularly included here. This template is used where particular more and more description needs to be filled up. There are introduction, appearance, food and habitat section where different subheads are also present. In this template enemies section is another unique section where you can write down who are the enemies, how the animal protect itself and how the other people protect himself from the enemies as well. 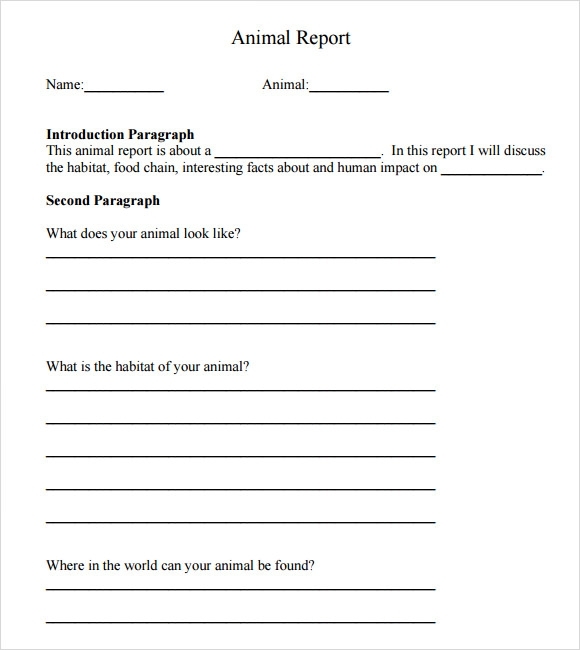 In this template the introduction paragraph is huge and in the second paragraph, there is a section where you can explain how the animal looks like, what is the habitat of the animal. There is a unique section where you can write in which segment of the world you can find the animals as well. 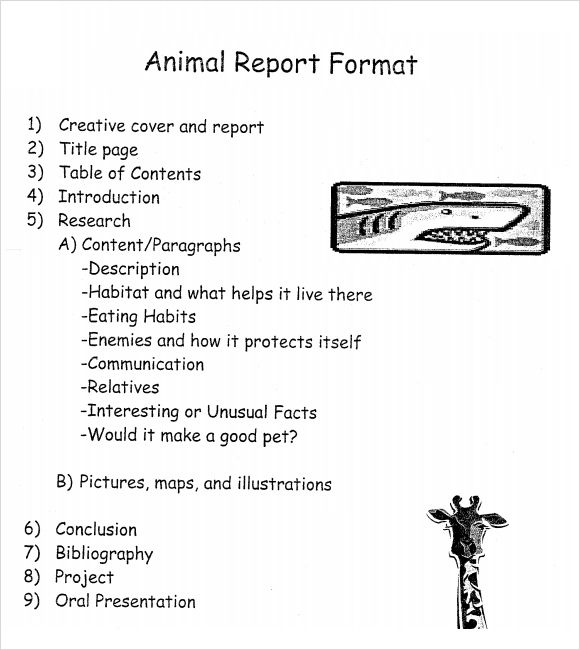 Why Do We Need Animal Report Templates? These types of template guide you to get a detailed idea about the animals you are dealing with. If you are dealing with any business which needs more audience, then this is the best way to summarize all the staffs. This gives a detailed description about your businesses in a more professional and sophisticated way. You can include their name, their nature, their types of living and how they react on various natural calamities as well. You may like Situation Report Templates. 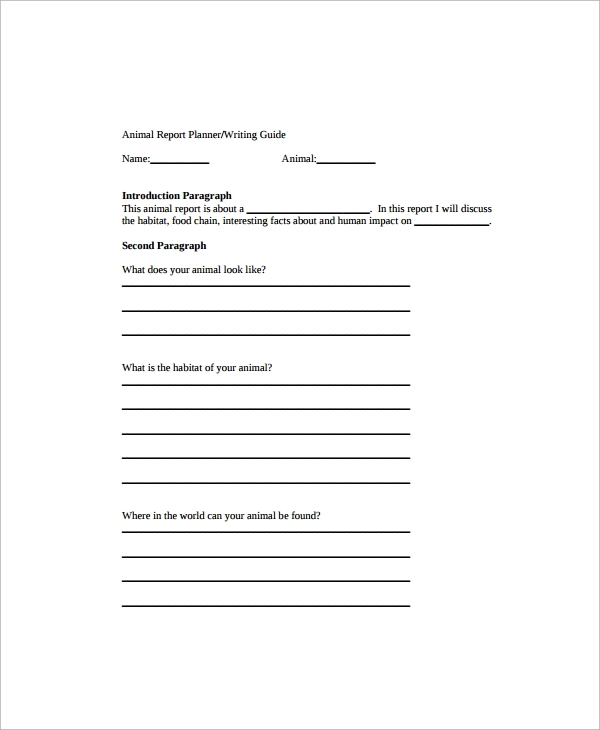 When Do We Need Animal Report Templates? If you are planning to set up for a new business then this is the high time to use this template. This template helps anyone to read your story and make them understand what you have witnessed about a particular animal. In addition to that if you want to organize all your details in a structured manner, then this template is very useful. You can also see Committee Report Templates. Instead of adding any tips it is ideal for choose any of these. Before creating any template, you need to just collect the whole information. Once this gets done, then it will work flawlessly by filling all the tabs, nothing else. You may also like Test Report Templates. This template is available in various print ready as well as word format so that you can choose this with no confusion. This template helps you summarizing all the details with no hassle. So, if you are planning to build your targeted audience, then this is the right time to choose from.